Welcome to the Prestige Interiors website! 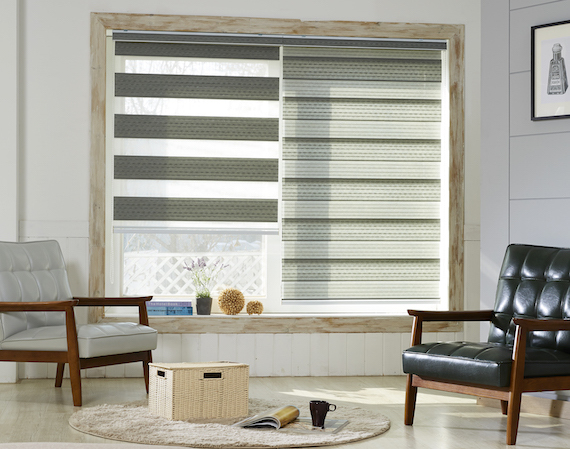 We service the Las Vegas, Henderson, and Boulder City areas and are pleased to offer you a full line of custom window coverings, including shutters, draperies, blinds, and shades. We offer free consultations and helpful hints. Did you know that you can spruce up your home and make it more attractive with some simple ideas? - Do you want to lighten up and let some light in with drapes or shades? - Are you looking to pick a new, contemporary tone? - Were you looking to bring in textures or natural woods? No matter what your style, we can meet your needs. As a Skandia Premier Dealer, we have a large selection of top quality custom window coverings and our experts can assist you every step of the way. Our free estimates show you what you exact costs will be so there will be no surprises. Contact us today for an appointment and we will be happy to set up a time to meet with you to discuss your specific needs.